In a major boost to agencies probing high-profile corruption cases, a Dubai-based businessman wanted in the VVIP choppers case and a corporate aviation lobbyist have been deported to India, officials said Thursday. They said Rajiv Shamsher Bahadur Saxena wanted in Rs 3,600 crore AgustaWestland VVIP choppers money laundering case and lobbyist Deepak Talwar wanted by the ED and the CBI in a case of misusing over Rs 90 crore taken through the foreign funding route, were brought in a special plane to Delhi around 1:30 AM. The two have been arrested by the ED. The agency has taken their custody and they will be produced before a court here later in the day, the officials said. Both of them were picked by Dubai authorities on Wednesday "in assistance" to a request made by Indian agencies, they added. 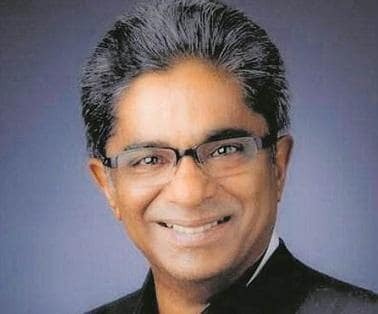 The ED had summoned Rajiv Saxena, a resident of Palm Jumeirah in Dubai, multiple times in the case and had arrested his wife Shivani Saxena from the Chennai airport in July 2017. She is now out on bail. The ED had alleged that Rajiv, his wife and their two Dubai-based firms-- Ms UHY Saxena, Dubai and Ms Matrix Holdings -- routed"the proceeds of crime and further layered and integrated in buying the immovable properties/shares among others". The ED had said that its probe found that "Agusta Westland International Ltd, UK paid an amount of Euro 58 million as kickbacks through Gordian Services Sarl, Tunisia and IDS Sarl, Tunisia. "These companies further siphoned off the said money/ proceeds of crime in the name of consultancy contracts to Interstellar Technologies Ltd, Mauritius, and others which were further transferred to UHY Saxena, Dubai and Matrix Holdings Ltd. Dubai and others," the ED had charged. It had said the couple have remitted/ transferred a "huge amount of money" through their Dubai-based companies to various other accounts. On January 1, 2014, India scrapped the contract with Finmeccanica's British subsidiary AgustaWestland for supplying 12 AW-101 VVIP choppers to the IAF over an alleged breach of contractual obligations and charges of kickbacks to the tune of Rs 423 crore paid by the firm for securing the deal.